One of the worst clichés of US politics is that the next election is the most important ever/in your lifetime/in recent history, and so on. When I worked in US politics in the 1990s, I heard this all time. Americans are bewitched by the notion that elections represent major turning points in national life. American news coverage flogs this notion relentlessly – likely to drive up viewership by inflating the stakes – and election gurus in the US like Karl Rove, Frank Luntz, and James Carville have built careers around this idea. Midterm elections are generally spared this overwrought breathlessness. Without the presidency at stake, that impact is automatically lower. But most presidential elections in retrospect are not hugely consequential either. Something that happens regularly every four years cannot be special by definition. When I think of US elections since the Cold War, the only two that in retrospect leap out as the ‘most important in my lifetime’ are 2004 and 2016. 2004 was critical, because the American war in Iraq was on the ballot, as well as a president who had lost the popular vote in 2000. George W. Bush’s 2004 victory solidified both the legitimacy of his presidency after the deeply divisive Florida recount, and the continuance of America’s most misbegotten conflict since Vietnam. But 2016 must be the most important post-Cold War American election. The US elected a deeply unserious reality TV star who has since trafficked authoritarianism and far-right social themes few thought Americans would respond to in the 21st century. Donald Trump has brought to the fore far more racism than most white American elites thought was out there in American life. Trump has also exposed an authoritarian temptation in the US population which almost no one thought possible in the world’s oldest democracy. Trump has governed as a fairly orthodox Republican, but he was elected with aggressively reactionary themes which startled everyone and revealed greater fragility in US democracy than anyone thought, especially after the rather banal, centrist Barack Obama presidency. This is the closest the US has come to an authoritarian in the presidency in its history – no, Donald Trump is not an authoritarian or fascist, but he is closer to that position than any of his predecessors. When I speak before business audiences in East Asia, I am routinely asked if Trump is America’s Mussolini or wants to be a dictator. Trump’s language on Twitter, such as calling the media ‘the enemy of the people,’ is frequently semi-authoritarian. And the recent decision to end birthright citizenship, a constitutional right in the 14th Amendment, via executive order is an astonishing act of authoritarian overreach which will almost certainly land his administration in court. 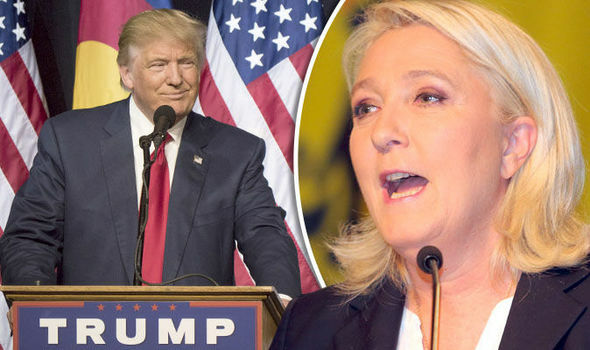 Trump is also remaking the Republican party in his own image, which increasingly looks like the semi-fascist National Rally (formerly the National Front) in France. The US has never had a blood-and-soil nationalist party, but if one watches Trumpist media, most obvious Fox News, in the weeks running up to next week’s midterm election, the messaging is drenched in racialism, if not openly racist. Hence, the 2018 midterm has emerged as the most important midterm election in a long time, certainly in my lifetime. This is the first time since 2016 for American voters to respond to Trumpism as a governing philosophy rather than just campaign sloganeering. If the Republican party’s majority survives in the Congress, Trump, Congressional Republicans, and GOP voters will take this as a validation of the Trumpist turn of 2016. Non-Trump Republicans like Jeff Flake and Paul Ryan will continue to quit. They will be replaced by Trumpish National Front-style politicians. Trump himself will double-down on the racial and ‘deep state’ themes that seem to be rewarding him so richly. And Trump voters will feel themselves liberated from ‘political correctness’ to be more openly racially provocative in public, as in Charlottesville last year. At the moment, it is still possible to argue that Trump is an ‘accidental president.’ He lost the popular vote, apparently did not want to win, does not take the job seriously, and does not seem to have much of a policy agenda beyond his grievances – ‘owning the libs,’ attacking anything Obama did, feathering the nest of the Trump conglomerate. But victory this fall would end this option for dismissing Trump. If 2018 and 2020 do not deliver a sharp rebuke to the GOP – not just Trump, but the GOP in general – the Trumpist turn will continue. The GOP will become even more extreme than it is now, especially on race and constitutional norms of fair play. As asymmetric polarization worsens, the country will become increasingly ungovernable. Trump’s constant race-baiting will worsen race-relations, and the GOP will drift toward a National Front-like white party dependent on an aging racist coalition. As these voters pass away, the minoritarian Trump coalition will prove itself unable to win races without constitutionally gimmickry. Under Mitch McConnell and Trump, the GOP has already experimented with questionable constitutional maneuvers, such as extremely strict voter identification laws, leaving a Supreme Court seat purposefully unfilled, militarizing the border, government shut-downs and debt default threats to blackmail Democrats, endless filibustering, and so on. All this will worsen, and the GOP in power will increasingly spark constitutional crises. Entrenched minoritarian Republican rule, especially of a harsh, Trump-National Front variety, will also likely breed a backlash on the left. Indeed if Trump wins the 2020 presidential election without the popular vote, a constitutional rupture may loom. That would be the third time in just twenty years – 2000 and 2016 also – that the Electoral College has thrown the election to the GOP which otherwise would have lost. The American left may well feel that America’s governing institutions are structurally tilted against them and blocking their earned victory. That a Trumpized GOP will refuse to govern as a center-right party congnizant of the narrow margin of its victory will make this anger on the left even worse. How will it respond? On the streets if it does not believe it can win elections? I say all this as a life-long registered Republican. I have voted in GOP primaries since I was 18. I have been a general election swing voter since the GOP began to radicalize under Bush II, but I never switched party registration, because I figured the GOP needed someone to vote for moderates in the primaries. While this was uncomfortable under Bush and then Sarah Palin, under Trump it is a disaster. I voted a straight Democratic ticket (via absentee) for the first time in my life in this election, including for one candidate I believe is inferior to his GOP opponent. But this is absolutely necessary, and I hope any American readers will do the same. Donald Trump is a threat to both American democracy and liberalism. He is turning the Republican party into the racist, semi-authoritarian National Front. He needs to be decisively defeated at the ballot box this week and in 2020. The best way to do that is to vote mechanically for Democrats under Trumpism is defeated. This entry was posted in Domestic Politics, Lowy Institute, Trump by Robert E Kelly. Bookmark the permalink. Enjoyed the article, as always. Not sure I agree with your characterization of the Republican Party. Instead, is this about party versus party politics? Or intra-party issues? Or other national divisions? I prefer to see this issue as a battle between populism and institutionalism, both within each party, and beyond the parties. In 2016 Hillary gained the support of, and maintained the institutionalists of the Democrat Party against populist Bernie, while Trump led the populists over the Republican Party institutionalists. Why? Perhaps partly because the Democrats’ institutionalists had a clearly identified preferred candidate, the Republicans’ did not. (Jeb Bush was perhaps a front-runner, but not dominating the party’s discussions in 2015~2015.) Also, that various populist segments in the Republican Party had already formed (Religious Right, Guns-owners, etc) and they adopted Trump, whereas such pre-formed segments were less-organized in the Democrat Party, and did not coalesce around Bernie. As for authoritarianism, I would agree in theme, but not necessarily Trump as “most.” FDR’s court-packing attempt and use of executive orders were clear attempts to over-ride Constitutional constraints. Nixon believed in a strong (so-called “Imperial”) presidency, according to many political historians. There is no doubt but that the power of the presidency, since Lincoln, far exceeds the targets expressed in law and practice in the early 1800s — Jackson’s Louisiana Purchase was strongly questioned not only in terms of wisdom, but also on presidential authority. Reblogged this on Noah Kiplagat – Access to Justice Blog.